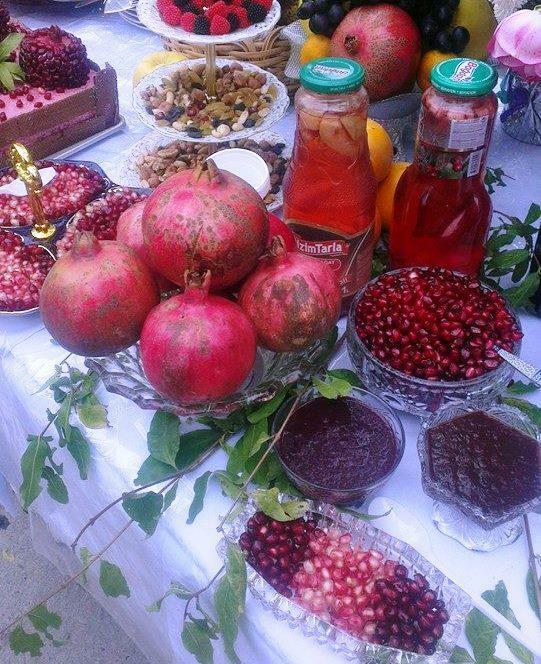 It is necessary to establish a living pomegranate museum in Azerbaijan, Director of the Institute of Genetic Resources of the Azerbaijan National Academy of Sciences Zeynal Akbarov said at a scientific-practical conference titled "Multidisciplinary Problems of Pomegranate Cultivation and Yield", held in Goychay. The scientist said that in a vast area where the rich genetic diversity of pomegranate is concentrated and which is conducive to the cultivation of this crop, it is necessary to create a living museum of pomegranate, which will present the national gene pool, and where the local and imported varieties and species of pomegranate will be brought together. Being an exhibition of all achievements related to pomegranate, this living museum can function as a center of agro-tourism and recreation for local and foreign guests and tourists. Its activities will also be aimed at training young researchers, amateur gardeners and farmers. Azerbaijan is considered the only country where all varieties of pomegranate grow.